1. Track name for 24 channels. 2. Pan settings for 24 channels. 3. 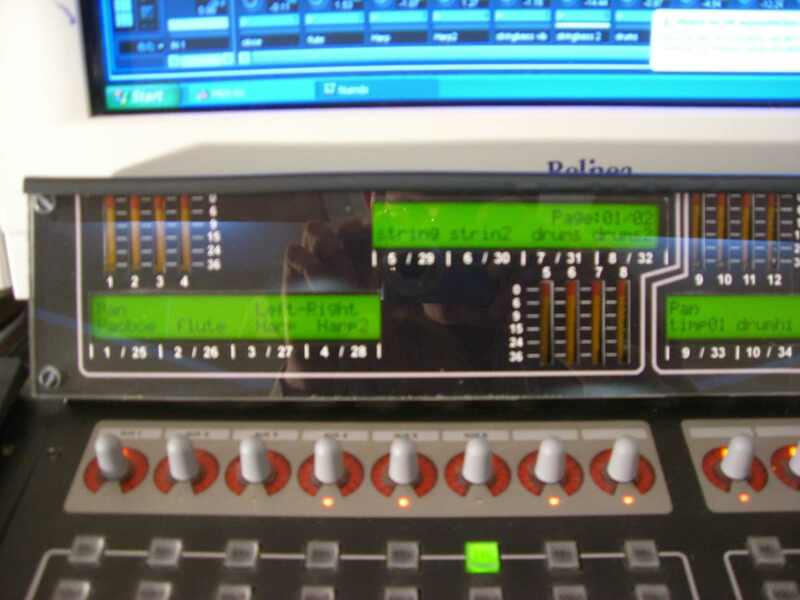 EQ settings, displayed on 4 of the 6 displays, if you push the EQ button on the US2400. 4. Effect settings if you push the effect send button on the US2400. 5. Metering for 24 channels. 6. Time code bar digits. 7. Settings for dynamic and instrument is currently under construction. The costs for the display and meter unit are about 600EUR. For hyperlink to the different sections click on the pictures and on the blue marked words! The hardware and programming for the display unit is based on the core modules and different interfaces of the Midibox Forum http://www.ucapps.de/ . Before you start with your display unit read through the basics of the midibox controller. Here you can find some good descriptions what is midibox and how it works. If you are completely confused now, don’t worry it sounds more complicate than it is. At first you have to build the core module. You can find the schematics under http://www.ucapps.de/ MB Hardwareplattform Core Module. Here you can find the schematic, the board , the order list and a detailed description for the core module. You also need a power supply that provides you a voltage of 7-10V and a current of 2A. 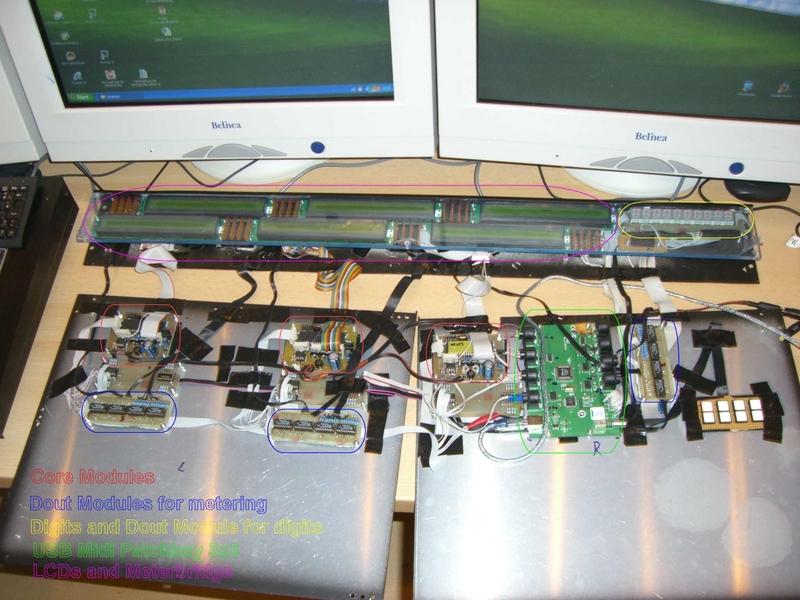 Before you build the complete setup, try to get one core module with two displays working. Attention! You have to ground the pins on the core module which are normally used for the fader pack (A0- A7 on pin board J5) otherwise the core module gets confused. At next you need the displays. There are 6 “2x40 dot matrix LCDs” needed. One display cost about 40Eur. I know this is expensive! It is very important that you buy displays with background lightning otherwise you won’t see enough because the contrast is very bad at cheep LCDs. I tried it with 5Eur LCDs from eBay, it was horrible. Here you can find the plan for wiring the displays to the core module. 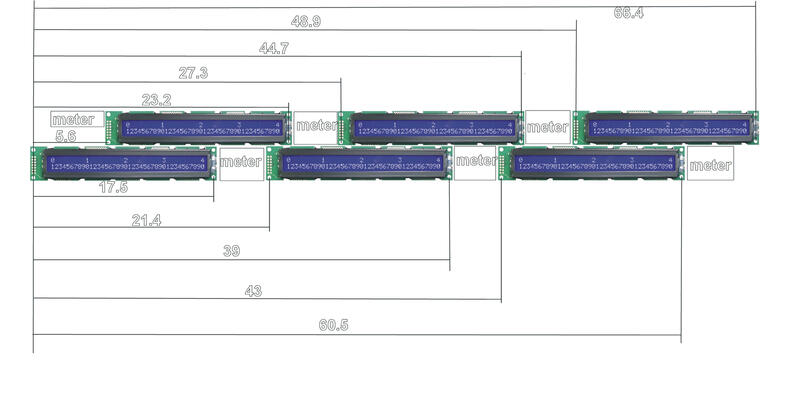 http://www.ucapps.de/midibox_lc.html under Connection diagram for 2 2x40 displays. Here is a general specification for 2x40 LCDs as pdf document. describe what I’ve changed in the original software. At next we go on with the “time code bar digits” and the metering. You can find the schematic under http://www.ucapps.de/midibox_lc.html in midibox_lc_leddigits.pdf and midibox_lc_ledrings_meters.pdf. Here you can find my board and my schematic that I’ve developed for the digits. The layout and description is under http://www.ucapps.de/mbhp_dout.html. For the time code bar and the metering we need the dout module which is connected to the core module. The time code bar is connected to the first core module. I programmed the software in a way that the dout module for the metering is first connected to the core module and the dout module for the time code bar is connected to the dout module of the metering. (see picture below). Attention! In the midibox_lc_leddigit.pdf is a mistake in the schematic. The pinning to the digits dot,a,b,c,d,e,f,g on the module is wrong. It has to be flipped g,f,e,d,c,b,a,dot ! If the digits show stupid signs you have connected them with the wrong pinning. For the metering Dout Module you just need the pins which go to the meter leds because we don’t use the rotary encoders. (they are also disabled in the emulation software). Here is the schematic and board of my metering section. If the first core module is working with the displays, digits and metering you can build the other core modules in the same way. How to test the modules with nuendo. Start nuendo or other recording software, go to the controller settings where the US2400 is installed. For the first test, change the midi out ports from US2400 to the ports of your core module. Now you should see on the display a graphic of your recording software. If you want to use it in combination with the US2400 you have to use ‘midi ox’ and ‘midi yoke’ (download here http://www.midiox.com/ ). 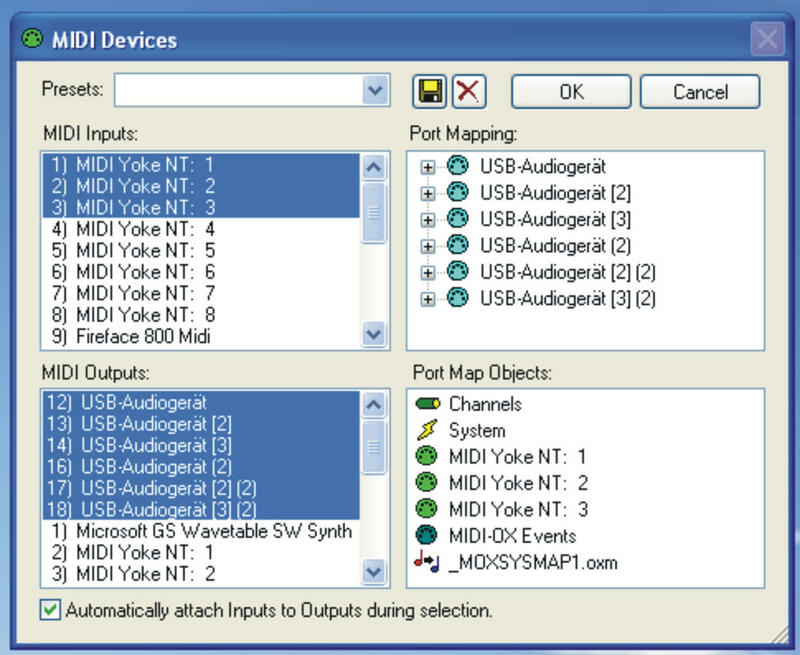 Midi yoke is a virtual midi port and midi ox can split the midi out of your recording software to two midi ports, for our use, to the US2400 and the core module. 1. 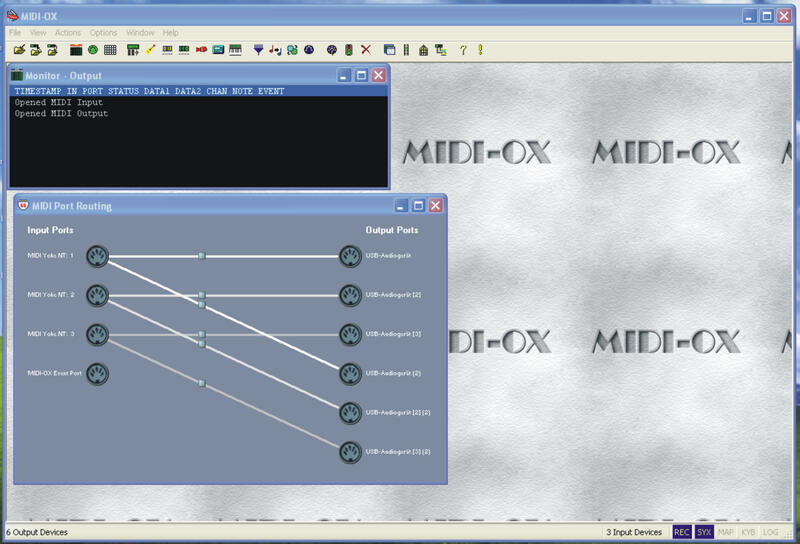 Install midi ox and midi yoke. 2. 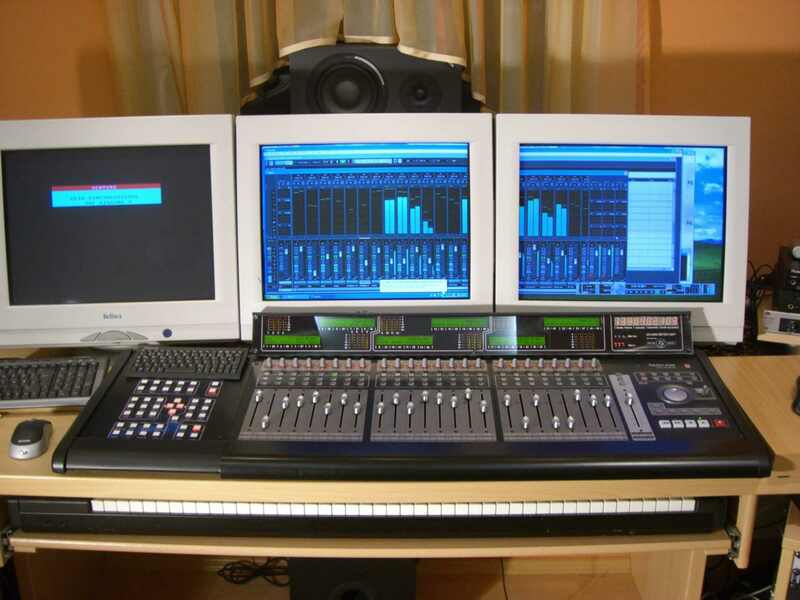 Change the midi out ports of your recording software from us2400 port 1,2,3 to midi yoke port1, 2,3 and close the program. 3 ports from the core module. to the US2400 port and to the core module. 6. Switch off the us2400. 7. Start the recording software again, don’t close midi ox. 10. Now it should work. Be sure that you don’t confuse the midi pots of us2400 and the midi interface of the core modules . 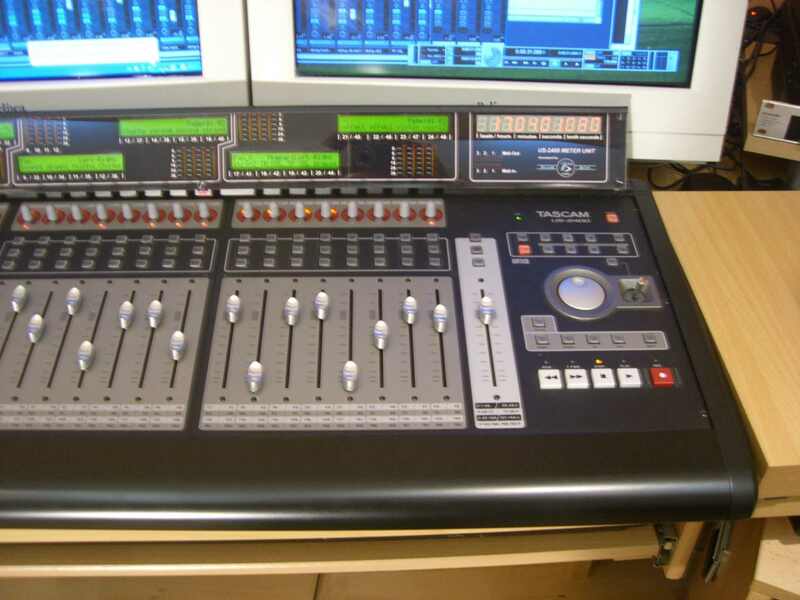 Why do I have to switch off US2400 when I start the recording software? This is a bug that I have not solved until now. It is because US2400 send nuendo the message to switch off the display function when you start nuendo or a project.So if you start nuendo and the us2400 is switched on, you would see nothing on the displays. But if you switch on US2400 after opening nuendo and the project, us2400 has no possibility to disable the displays. I`m working on a bug fix! In the following pictures you can see how I did the placement for the displays and the metering. The metering is between the LCDs. You can program the position of each channel sign on the display if you edit the mackie emulation software. So you are free to arrange the displays as you like. 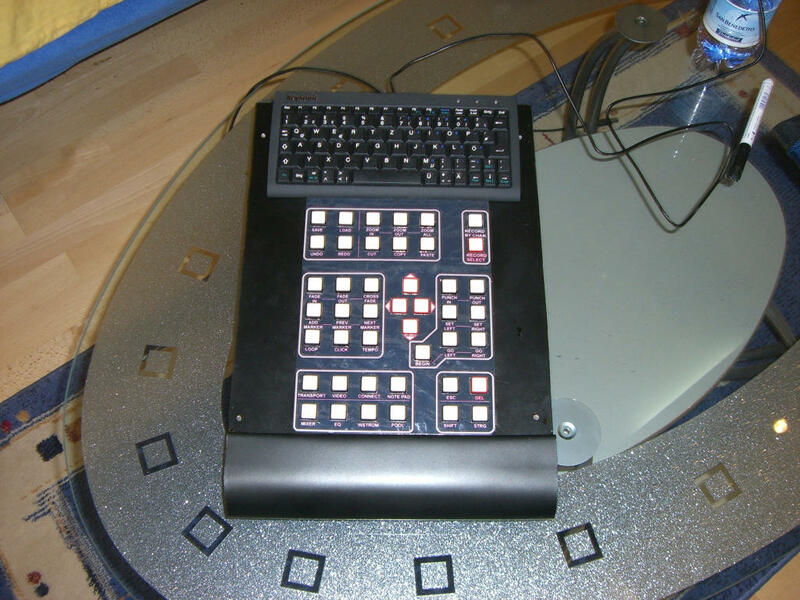 The reason why used two 2x40 LCDs for 8 channels and not one 2x55 LCD like the mackie control, is that the 2x55 LCDs are just produced for the mackie control and there is no possibility to buy them.The Case is made of steelplate, and on the front I used plexiglass. The graphic on the front is printed out on paper and glued from the back side of the plexiglass. The display section is mounted with screws on the US2400. of steel plate and it was built in the form of the mixer case. The graphic around the keys is a laminated print out. Great thanks, to all the people of the MIDIBOX forum which made it possible that every one can build his own daw-controller! This people are doing a very good job and hopefully I could help with my description for the US2400 controller too! If you have special questions on US2400 and the display section you can contact me. 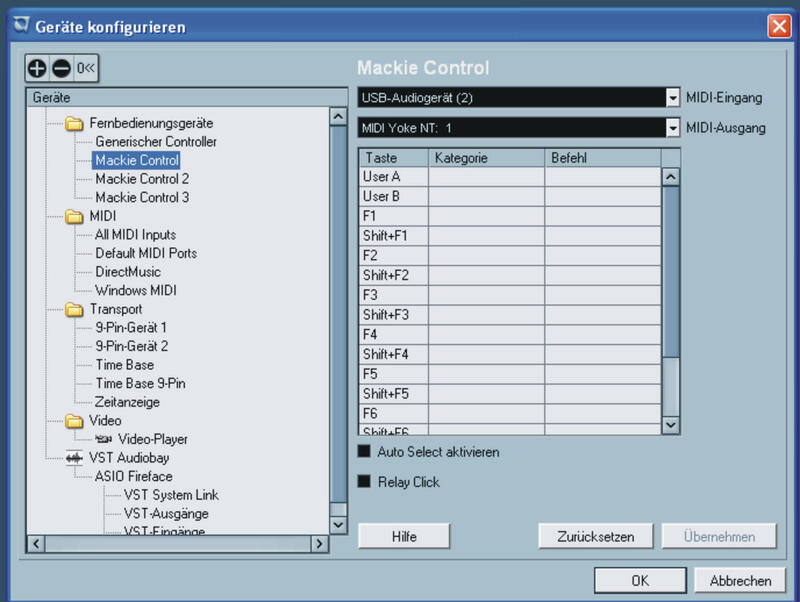 How to edit the mackie emulation software. for all functions in this file.